The pursuit for a good solicitor may prove to be a challenge. There are those who are reputable and there are those who have less than sterling reputations. There are several ways in which the public can have access to the services of a solicitor. The most common practice in the past is to engage a solicitor one has known for some time and is usually somebody who lives or holds office in the same community or area. There are also some who were referred by a friend or a family member. There are also some places in which the local government has a solicitor referral service. Times are changing and clients do not have much time to go around visiting different law firms to look for the solicitor who suits his needs and whom he can afford. There are also solicitors who have their own websites and inquiries about their services can be accessed in just a click of a mouse. Searching for a solicitor online is more convenient and can be done in the comforts of the client's home. He can get pertinent information, check the office location, make appointments, compare the fees and even have initial legal consultation. 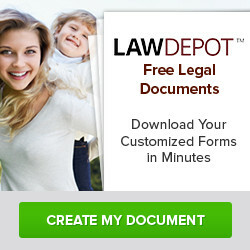 There are even several online directories for solicitors. The client though has to choose which is more convenient for him, where and whom he is more comfortable with. Solicitors have their own areas of expertise and clients should be guided accordingly to avoid wastage of time, effort and resources in engaging legal assistance.